Brush fires burned across Southern California early Sunday as the continuing heat wave brought triple-digit temperatures to many communities. Temperatures reached 100 in Ramona, 101 in Jamul, 102 in El Cajon, 103 in Escondido, 106 in Poway. 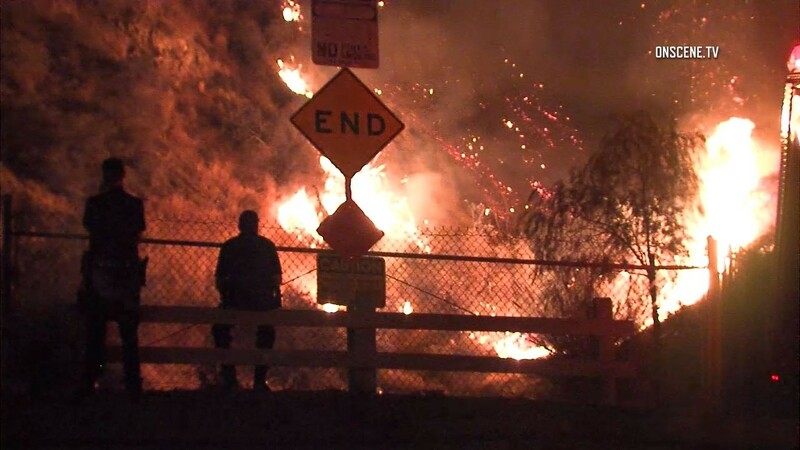 In Los Angeles, a 5,800-acre fire that is the largest in the city’s history forced evacuations of 700 homes in that city, Burbank and Glendale. Some 800 firefighters were battling the blaze, which was just 10 percent contained on Saturday night. In Orange County, a fire near the toll plaza on Route 73 closed the southbound highway for several hours on Saturday. In Riverside County, a fast-moving, 3,200-acre brush fire that started west of Calimesa triggered mandatory evacuations in Redlands. In San Diego, smaller brush fires burned Saturday in Valley Center, Lakeside and near the border south of Dulzura. Overnight temperatures were exceptionally warm in San Diego County, with Lindbergh Field reporting 91 degrees at 2 a.m. The National Weather Service office in San Diego said highs on Sunday would be 85 to 90 near the coast, 89 to 94 inland, 89 to 94 in the western valleys, 82 to 87 near the foothills, 75 to 85 in the mountains and 91 to 96 in the deserts. Because of the heat, the San Diego Padres have canceled Sunday’s pregame activities at Park at the Park, including KidsFest. A gradual cooling is expected, and thunderstorms could form because of the influence of Tropical Storm Lydia off Baja California, but a wind advisory is in effect until 8 p.m. Sunday.